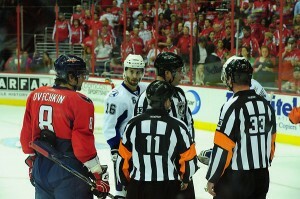 In the current state of NHL officiating, if things continue as they currently are; someone is going to die on the ice. It’s not a question of if, but when. It’s been mentioned before in “anti-fighting” circles that someone is going to get killed while fighting, but that’s just a high profile example of a dangerous situation – one that 2 players decide to voluntarily take part in. However, below the surface, missing obvious calls could turn out to be far more deadly. 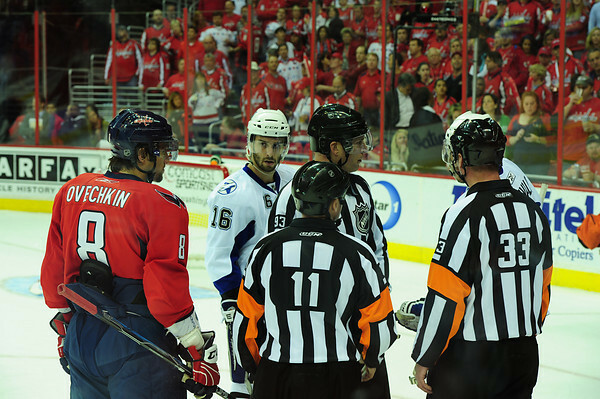 NHL officiating is a league wide issue. Not just the Penguins. It’s created danger and confusion. No one knows what’s acceptable really. A goal was scored by Columbus long after the whistle should have blown. This comes down to a judgment call, but fills in a part of the bigger picture. Savard cross-checks Sid, no call. Savard pins him to boards away from puck, no call. Savard cross-checks Hornqvist, arm goes up. This was all from one game, but this has been going on all season. Here is the play on which Kris Letang was injured. No penalty was called and no supplementary action was taken against Shane Doan. There are currently class action lawsuits ongoing against the NHL dealing with head trauma and concussion issues. The average number of power plays per game has been constantly decreasing since the 2005-2006 season. That the league has gotten worse at calling penalties is not something that is going to help their case. If the league is going to be taken seriously when they talk about player safety, they simply need to start calling the games honestly and fairly, based on the rules already in place. Too often, and increasingly so as we near the post season, refs seem to want to “let the players decide the games.” This is a comfortable fallacy, as not calling penalties can be just as game-changing as calling too many. It’s time to fix what is broken in the league. It’s time to pay attention to what is actually happening on the ice.